Global Racing Gear Trans offers advanced protection for two stroke transmissions. It’s superior blend protecting gears and gearbox components. Global Gear Trans is blended with the highest additives that protect gears from high load pressure; its extreme film strength prevents metal to metal contact of the gears, reducing friction and wear. 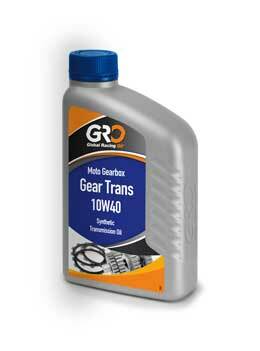 With special additives Global Gear Trans reduces foaming of the oil and a high thermal stability. Formulated to reduce friction of gears.